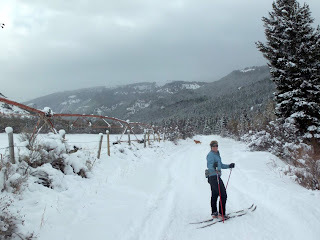 We're getting into full-on winter mode here in Teton Valley, Idaho now. Below-zero temps at night, crisp sunny days, a little snow, and holiday get togethers beginning to fill the weekends. We've dusted off our winter recreation toys and stoked the fireplace. We're also remembering how to drive on icy roads. 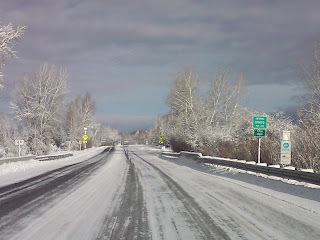 This is the view coming into Driggs from the south last week, and shows what our roads will look like for most of the next four months. Helps you understand why we all ski, ride snowbikes, and snowmobile. 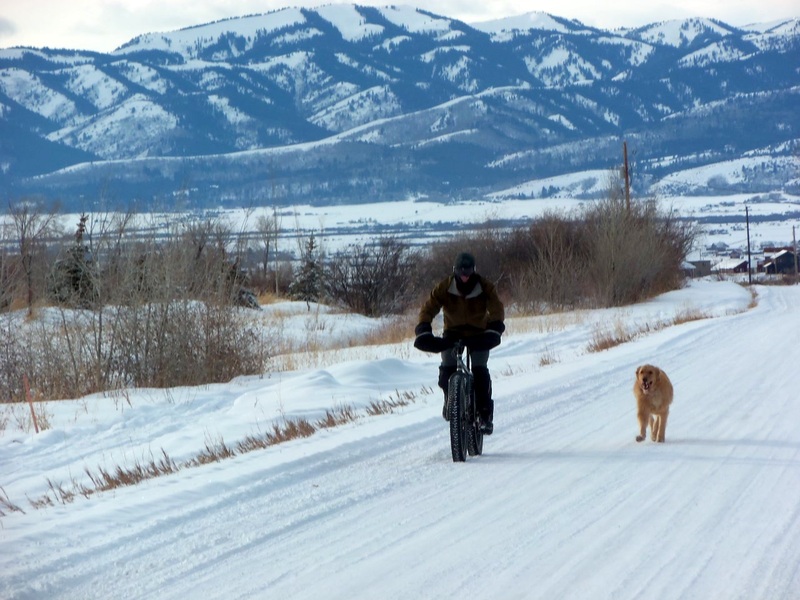 Speaking of which: we could use more snow for downhill skiing and snowmobiling, but conditions are nearly perfect for snow biking at the moment. Enough white stuff for a base yet not too deep, and cold nights to keep it all firm. Bridger is digging it, too. A recent work trip to Salt Lake City shows the lack of snow along the Wasatch Front. 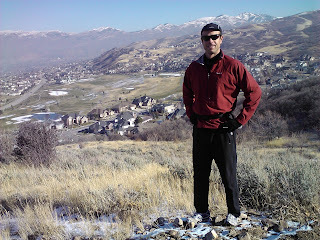 This was a morning hike along the Bonneville Shoreline Trail, done in running shoes, in December. Nice, but not normal. Ski resorts are a little worried. 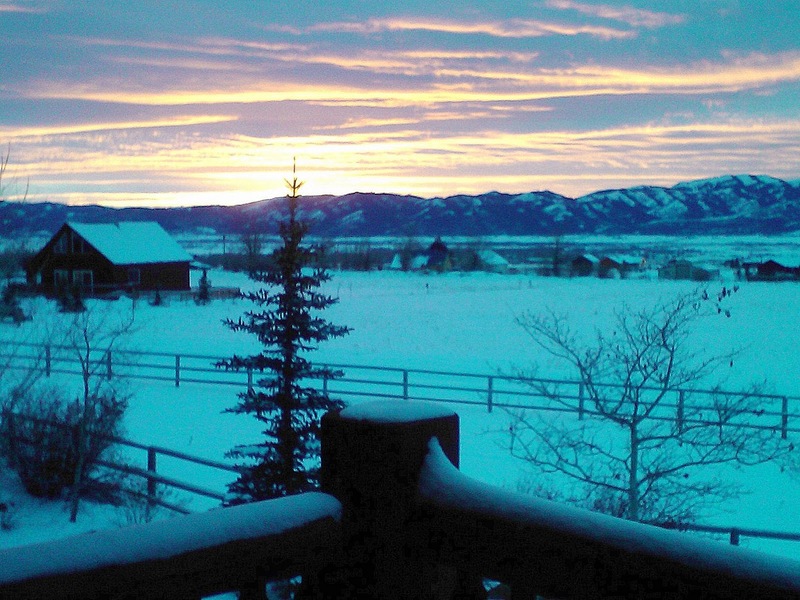 We're less than two weeks from Winter Solstice, and the sun is far to the south these days. It's producing some phenomenal, luminescent orange sunsets here in Driggs. Of course, it happens before 5pm now, but that's o.k. Here's to early winter fun, cozy nights, and ushering in the holidays with friends and family. Cheers.